If you scroll down one post, you will find my review of Touch, by Alexi Zentner, the third and final of my reviews of the 2011 New Faces of Fiction. And, thanks to my friends at Random House Canada, KfC is proud to feature not one, but two contests, for copies of the three novels. For Canadian visitors: Leave a comment on this post saying you are entering the Canadian contest and which novel is your choice. I’ll make three random draws and Random House has promised to mail copies to the lucky winners. For International visitors: Since I didn’t have to buy any of these books, KfC will spring for an international contest. Leave a comment on this post with your choice and I’ll buy and ship a copy to the lucky winner. The novels: A Cold Night for Alligators by Nick Crowe, Every Time We Say Goodbye by Jamie Zeppa and Touch, by Alexi Zentner. Just click on the cover below for a link to my review of each book. Deadline for entries is midnight GMT, April 20. Alexi Zentner’s debut Touch is a three-generation novel. Jeannot, the grandfather, is the “founder” of gold-town Sawgamet, discovered while he was fleeing an abusive adolescent past — a disaster will cause him to flee again when his own son is a young child, but he will return three decades later. That son, the Papa of the novel, is a logger who lives his entire life in the frontier community — he will die young trying to rescue his daughter who has fallen through the ice while skating on the river early in the book. His son, the narrator, has just returned to the community as its new Anglican priest. He had left almost a quarter century ago at the age of 16 to attend the seminary in Edmonton, went overseas as a chaplain in the Great War and now has returned to attend his dying mother and take over from his stepfather, the incumbent priest who is ready to retire. Touch is also a frontier novel. The fleeing teenaged Jeannot set up shop in the wilderness here only because his dog refused to go further. It turns out the reason the dog stopped was because he was sitting above a large, buried piece of gold, which Jeannot eventually finds. That not only provides him economic security, it provokes a gold rush — Jeannot wisely gives up prospecting himself to set up a lumber business, selling at very high prices to those searching for ore. Gold rushes come and go, but logging always remains. In the present tense of the book, that business is still booming — now producing the timbers that a nation which has just entered World War II requires. He pushed them hard, and when they pushed back, he came home with bruises, an eye swollen shut, scabs on his knuckles. He made them listen. At home, he was gentle. At night, he told us stories about his father, how Jeannot found gold and settled Sawgamet, and then the long winter that followed the bust. He told us about the qallupilliut and Amaguq, the trickster wolf god, about the loup-garou and the blood-drinking adlet, about all of the monsters and witches of the woods. He told us about the other kinds of magic that he stumbled across in the cuts, how the sawdust grew wings and flew down men’s shirts like mosquitoes, how one tree picked itself up and walked away from the sharp teeth of the saw. He told us about splitting open a log to find a fairy kingdom, about clearing an entire forest with one swing of his ax, about the family of trees he had found twisted together, pushing toward the sky, braided in love. Three generations, all of whom have to battle for survival. A punishing frontier, that while yielding both gold and timber, never yields completely. Native spirits, “the monsters and witches of the woods”. It should come as no surprise that omniscient Mother Nature is a fourth thread of the book: She is always present but the dramatic turning point of the novel comes with the winter that featured “thirty feet of snow”. Any one of those four threads could serve as a defining theme for traditional Canadian fiction — I’m pretty sure if I went back to Margaret Atwood’s 1972 critical work, Survival, I would find examples (if not whole chapters) devoted to each of the four. And while Canadian fiction has moved beyond merely works about “survival”, it does not mean that they have disappeared completely — a couple of years back, Giller Prize judge and British author, Victoria Glendenning, got in some hot water here when she wrote a UK newspaper column that referenced the prevalance of these kinds of themes in contemporary Canadian fiction. You can read a short quote from that column introducing my review of Jeanette Lynes’ The Factory Voice, another Canadian survival novel (albeit a more urban one) set in the same time frame as the present of this novel. Zentner goes beyond the norm, however, by including all four themes, rather than just one or two. And he complicates matters further by moving backwards and forwards in time — the narrator frequently invokes lengthy memories to introduce stories of what happened two generations ago, but equally frequently returns from those memories to the present to draw implications and lessons from the incidents, both major and minor, that occured decades ago. The constants, of course, are the resources (both mineral and arboreal), the aboriginal spirits and the unrelenting climate that offers as many bad years as good ones. I am not sure how well this novel will travel outside of Canada, although Kathleen Winter’s Annabel, which has similarities in both frontier setting and some themes, is travelling very well with its recently-announced Orange Prize short-listing and talk of possible Booker acknowledgement (yes, I am cheering for her on both). Perhaps instead of lamenting yet more novels with themes that have always been common in Canadian fiction, it is time to celebrate the way that debut authors are returning to them with even more impressive results. Whatever this is, it isn’t normal. So I am going to run away somewhere else, start over and create a new normal. Dawn should have known it was over the night the men showed up with the car. The jig was up, the goose was cooked, it was going to get worse before it got better. It was the beginning of the end, her grandparents would have said, only they would have seen it coming from Day One, if not sooner. This was not unusual: in Frank and Vera’s stories, things often ended before they began. Every Time We Say Goodbye is a generational story, set in the Northern Ontario city of Sault Ste. Marie. The chonological action extends from the late part of World War II to the 1980s, but that is deceiving — Zeppa consciously moves her narrative focus back and forth between all three generations of the Turner family. That’s one of the reasons why those complementary themes of “this can’t be normal” and “the beginning of the end” come to be central to the book. Frank took her to the bus station in the dark. She didn’t wake Danny; it would have killed her to say goodbye. Not that it would matter. She was dead already. The walking dead. “You look very nice, Gracie. That suit is very becoming on you.” The dead wore new clothes, a navy skirt and matching jacket cut and sewn by the liviing. “We wait over there,” Frank said. The moving dead. The standing dead. The dead could swallow coffee from a paper cup, but they could not taste it. The central character of the middle generation is represented by Dean, who may or may not be a grown up Daniel. He was raised by Frank and Vera and in his early teens discovers that he was adopted. That provokes his first “bolt” — he steals the family car and heads towards North Bay where, he hopes, the Children’s Aid Society records will establish just who exactly he is. This will become “normal” behavior for Dean — throughout the book he is more or less always on the way to “bolting” to some new set of circumstances which surely will be better than the current ones. Even Dawn, the third generation character who is only eight when the book opens, is on a continuing search for a version of normal, although in her case it comes mainly in the form of hope that things will get better since she has no direct control over her own situation. The opening paragraph I quoted frames the story of Dawn’s first “hopeful” experience — while it foretells an unsuccessful end, the beginning aspect of that is her anticipation of the arrival of Dean and his new wife to pick up Dawn and her brother. They are moving from their grandparents to a new home where she will have “normal” real parents. A decade later as the novel draws to a close, Dawn is still hoping. There have been a number of Canadian novels centred on those who were left at home during the War, particularly young women like Grace who came to maturity when most of the males in her cohort were away fighting — Jeanette Lynes’ The Factory Voice is another worthy example. There are recent examples as well in both UK fiction (Gerard Woodward’s Nourishment) and US fiction (Maile Meloy’s Liars and Saints). One of the more interesting aspects of the mini-genre is that it shows how different life on the home front was in each of these countries for the women left behind. For this reader, the greatest challenge that author Zeppa faced and did not completely meet was that each of these three generations requires its own cast of characters. Particularly when she chose a structure that moves the narration from one generation to another, the reader has to keep a relatively lengthy list of non-overlapping characters in mind and the author simply does not have the time or space to adequately develop them. The central characters in each generation acquire depth but those around them simply don’t come to life. Having said that, Zeppa does come much closer to success in her portrayal of the different approaches her characters take in their pursuit of some acceptable version of “normalcy”. Yes, it is futile but then that is a reflection of life — it is hard not to develop some sympathy for the effort, as ill-guided as it might be. Frank and Vera’s approach — grow a thick skin and adapt — may be the most viable option. Every Time We Say Goodbye will not be to everyone’s taste, but it is an entirely worthy first novel. For those of us born to these times (I’d be close to the same age as Daniel and/or Dean) it is a valuable reminder of the circumstances that our parents faced. The female characters are better developed than the male ones are, so I suspect female readers would find even more in this book than I did. The KfC blog had a great time with the New Face of Fiction last year — four first novels, all quite good, one of which (Ghosted by Shaughnessy Bishop-Stall) made my year-end Best 10 list. This year’s NFoF features three novels: in addition to Nick Crowe’s, I will be reviewing Alexi Zentner’s Touch and Jamie Zeppa’s Every Time We Say Goodbye in the next few months. And yes if you stick with the blog there will be a NFoF contest once I have reviewed all three. Let’s back up a bit. Canada does have a tradition of nurturing new authors and, since 1996, Random House has taken an active part with this program. In fact, that first year introduced us to Ann-Marie MacDonald, Yann Martel, Dionne Brand and Gail Anderson Dalgetz (links are here) — I’d say that is about as good a clean sweep as you can get. But I don’t want to overlook the contribution that smaller publishers make in ensuring that new Canadian authors are given their chance. So let me digress for a bit to recognize Gaspereau Press who won the Giller last year with Johanna Skibsrud’s The Sentimentalists. And Biblioasis Press which published my 2010 favorite (and I urge you to look for it), Alexander MacLeod’s Light Lifting, a short story collection that ranks with the best anywhere, anytime. Previous Giller shortlists have featured novels from Cormorant Books, Arsenal Pulp Press and Freehand Press. We have a lively publishing industry in Canada and should appreciate the contribution that all these publishers make to our reading pleasure. I needed to make a break, switch things up, get going on a new path, fear and dread be damned. But in the meantime, I could wait to get home. I needn’t have worried about getting home. Because at 6:15, as the train finally barrelled down the line toward the station, Ronnie Orsulak, having recognized me as the man-devil who would not change his five-dollar bill weeks earlier, walked up and pushed me off the platform and onto the tracks. I fell into the swell of approaching lights. There was a scream behind me, then a whole chorus of them, and then blackness. A change was upon me whether I liked it or not. Jasper survives that accident but the “change” that is upon him is one that moves him into his history, not his future. As he recovers, he becomes more and more entranced with what might have happened to his older brother, Coleman, who disappeared 10 years ago — on the eve of his parents’ decision to institutionalize him for psychiatric care. Interstate 75 is an arrow in flight; a projectile that wavers in its path southward, as though the wind has blown it off course in places along the way and forced it to meander. If you pick up the highway at the border in Windsor, Ontario, and head due south, beginning in Detroit, it will take you to the very tip of Florida, which to a kid born into a world of hockey and snow blowers was like a lost, magical world. Growing up, I thought of I-75 as the road that never ended. Every summer, at the beginning of August, we’d pack the car up with suitcases, Styrofoam coolers, books and sun visors and head south. It was a three-day journey that began in the pre-dawn dark of Ontario and took us through the heartland of the United States and into the South. Michigan to Ohio, Kentucky, Tennessee, Georgia and into Florida. Okay, you go to Florida in mid-winter, not August — but a vacation is a vacation. And the family actually didn’t get to the tip of Florida — and neither does Jasper on this search. Their vacations took place on Sanibel Island in the Fort Myers-Naples area and that is where the narrator sets up his base in search of his brother. We are given enough back story to realize that Coleman has a “gift” — he gets along with the alligators who are the denizens of the Everglades swamps between the Gulf Coast and the Atlantic. And Jasper is pretty sure that this is where his brother has set up shop. His aunt Val lives there, with Rolly Lee, a cracker of the first order, and he embarks on a search — aided and abetted by two buddies who are headed that way for a fishing derby. All of this sets the stage for some low-life partying and violence. It is not a complicated plot by any means — indeed, the straight-forward way that Crowe tells his story is one of his strengths. For some reason, Florida swamp country seems to be on the fiction list this winter (Karen Russell’s Swamplandia is attracting a lot of attention), so put your boots on and trudge into the swamp. A Cold Night for Alligators is a worthy first novel — it is not a great book but it is a very readable one. Crowe is a story-teller with clean, crisp prose that bodes well for future efforts. I have only been to Sanibel once but the novel did bring back memories. 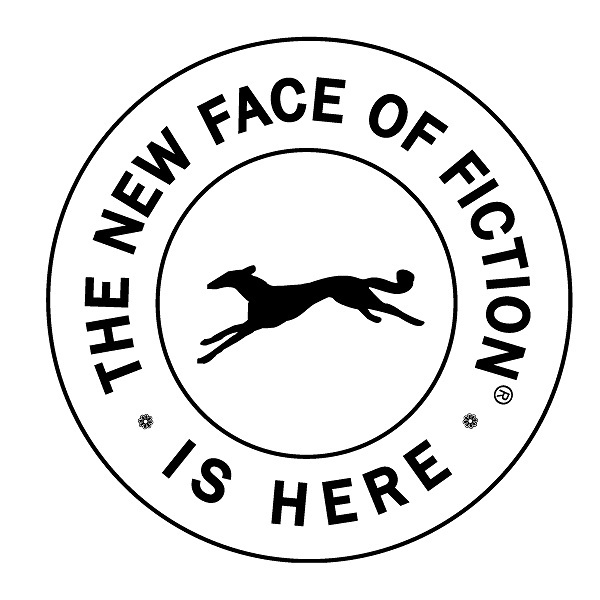 All in all, it is a very good start to another year of New Faces of Fiction.